Mad Sun Marketing is excited to announce it is now representing renowned guitarist Adrian Galysh as his public relations agency. 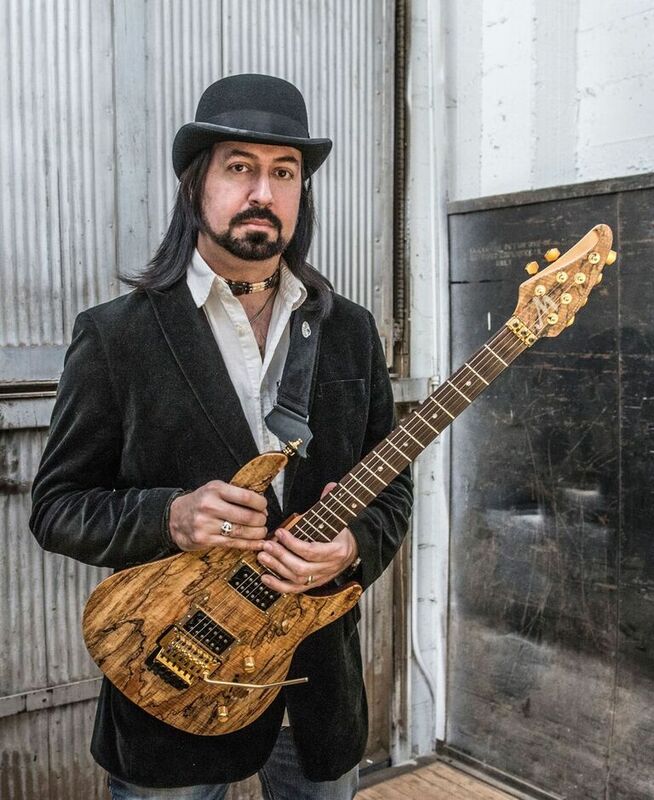 Galysh is a Los Angeles-based session guitarist with an illustrious career spanning five albums, including his upcoming release Into The Blue, due May 25. 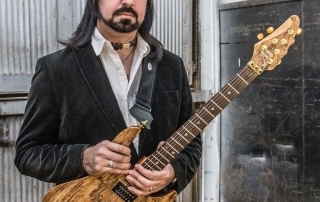 He has done multiple collaborations with acclaimed artists such as Uli Jon Roth, Yngwie Malmsteen, Robben Ford, Mike Keneally, George Lynch, Warren DeMartini, and many more. In addition to his work as a solo artist, Galysh is a session musician, composer, published author, Guitar World Magazine online lesson columnist, and Education Coordinator for Guitar Center Lessons. He’s the author of the book Progressive Guitar Warm-Ups and Exercises. For more information, visit www.adriangalysh.com. 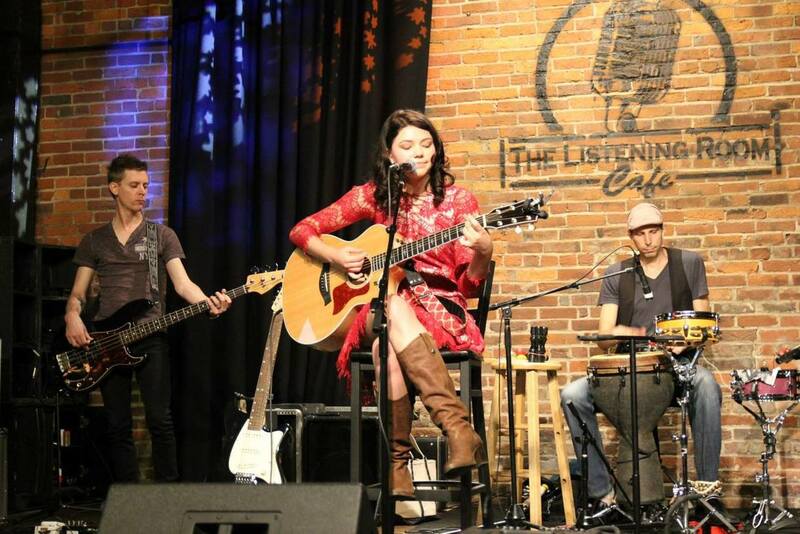 The Women’s International Music Network (the WiMN) returns to Nashville for its third annual She Rocks Summer NAMM Showcase, taking place on Thursday, June 23, 2016 from 8:30 – 11:00 p.m. at The Listening Room Cafe. Submissions are now open for women in music of all genres to enter for a chance to perform. Click here to submit. “We’re excited to come back to Nashville for the third year in a row. One of my favorite aspects of our Showcases is to go through the submissions we receive. There are so many talented women out there, and I’m proud to provide them with an opportunity to perform in front of industry pros and fans,” said WiMN Founder, Laura B. Whitmore. The Women’s International Music Network (WiMN) announces the artists selected to perform at the official 2016 She Rocks Showcase during the ASCAP “I Create Music” EXPO on Fri., April 29, 2016, at the Tinhorn Flats Saloon & Grill in Hollywood, Calif., from 9 p.m. – 11:30 p.m. The event is free and open to the public. 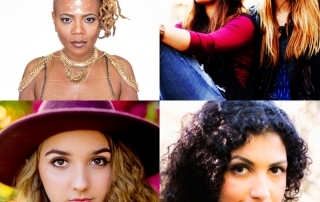 Performers include headliner Divinity Roxx, vocalist Anjali Ray, singer-songwriter Maddy Vance, and sister duo Facing West. “This year’s submissions were exceptional, and it was great fun to choose from such a large talent pool. We have a diverse lineup that will create a truly special evening. I’m honored to be hosting a show that celebrates women in the music industry,” said WiMN Founder, Laura B. Whitmore. Headliner Divinity Roxx is no stranger to the She Rocks stage. She led the house band Rock Sugah as the bass player at the 2016 She Rocks Awards in Anaheim, Calif., bringing an electrifying performance to a full house of music industry movers and shakers. Divinity was the musical director for Beyoncé’s band for five years, and has appeared on tracks by will.i.am, Beyoncé, B.o.B, legendary bassist Victor Wooten, and more. This year will see the release of her album, ImPossible. Find out more at www.divinityroxx.com. Raised in New Delhi till the age of 10, Anjali Ray draws on her extensive training in classical piano, Indian Hindustani classical vocal training, and occasional moonlighting as a jazz pianist to create emotional and haunting melodies. She recently seized the opportunity to create a full-length album of songs inspired by her experiences as a wife and mother. Visit www.anjaliray.com for more information. 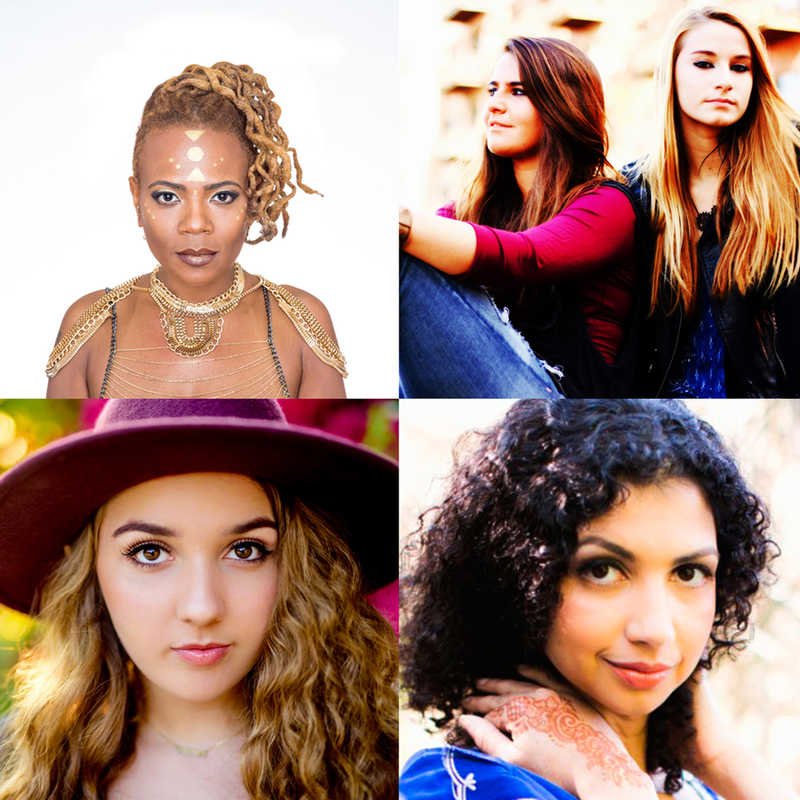 The Women’s International Music Network (the WiMN) announces the official ASCAP EXPO 2016 She Rocks Showcase scheduled during the ASCAP “I Create Music” EXPO in Los Angeles, Calif. Now in its third year, the She Rocks Showcase will take place on Fri., April 29, 2016 from 9 p.m. to 12:00 a.m. in the heart of Hollywood at the Tinhorn Flats Saloon & Grill, across the street from the EXPO headquarters at the Loews Hollywood Hotel. 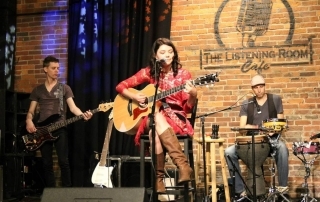 “Last year’s She Rocks ASCAP EXPO Showcase was a great success, hosting music executives from all walks of the industry and featuring a jam-packed house who enjoyed performances by top female artists; the 2016 She Rocks Showcase will be no different. I am excited and eager to receive submissions from talented ladies around the world!” said WiMN Founder, Laura B. Whitmore. 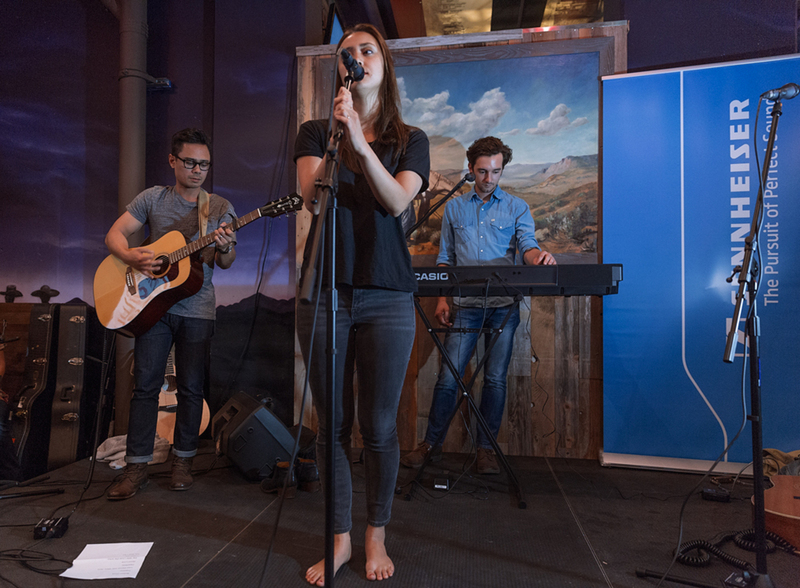 The 2016 She Rocks Showcase presents a unique opportunity for female artists of all styles and ages to perform in front of industry experts, media representatives, artists, publishers and more during the premier conference for songwriters, composers and producers. Artists are encouraged to submit their best material for an opportunity to win a performance slot at the showcase. All materials must be submitted by March 25, 2016. Showcase slot winners will be announced by April 1. Winners will also receive a free day pass to the ASCAP Expo. An EXPO badge is not required to attend or participate in the Showcase. To fill out the submission form and for official rules and regulations, visit http://www.thewimn.com/ascapshowcase/. “We are grateful and thrilled to be recognized by two of the finest entities in music education. MusicFirst strives to produce products that will have a positive impact on both teachers and students, and receiving these honors is a testament to our efforts on making a difference in thousands of schools across the world,” said MusicFirst Director, Dr. James Frankel. The TI:ME Award for Outstanding Contributions to Technology in Music Education is given by TI:ME board of directors and officers after conducting a survey with membership for feedback on companies whose products they are using and most impressed with in the classroom. 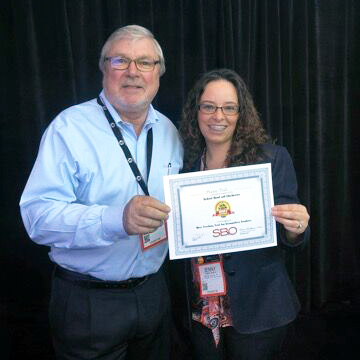 The School Band and Orchestra Best Tools for Schools Awards are determined annually by a jury of discerning music teachers from around the United States who visit exhibitors during the Winter NAMM Show, and evaluate their products for their practical application in the music classroom. 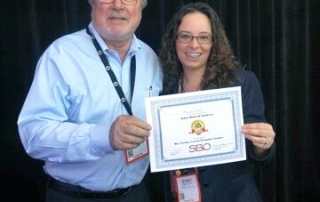 MusicFirst was honored in the category of Best Teaching Tool for Intermediate Students. Additionally, MusicFirst has been nominated for the Best Digital/Technological Resource Award for the Music Teacher Awards for Excellence in the United Kingdom. For more information, visit www.musicfirst.com. 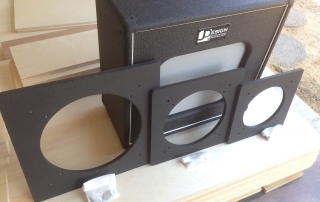 Calabasas, CA , January 20, 2016 – J Design is proud to announce the Add-a-Baffle™, an innovative adapter that allows players to switch speaker sizes in the same speaker cabinet. The product line is marketed and distributed by Gear Collector, a new, innovative sales and marketing platform for specialized and limited edition products. The Add-a-Baffle allows guitarists and bassists to swap speaker sizes utilizing a single cabinet, greatly expanding the tonal breadth of the cabinet. The system comes with the wood components, hardware and instructions for easy installation. 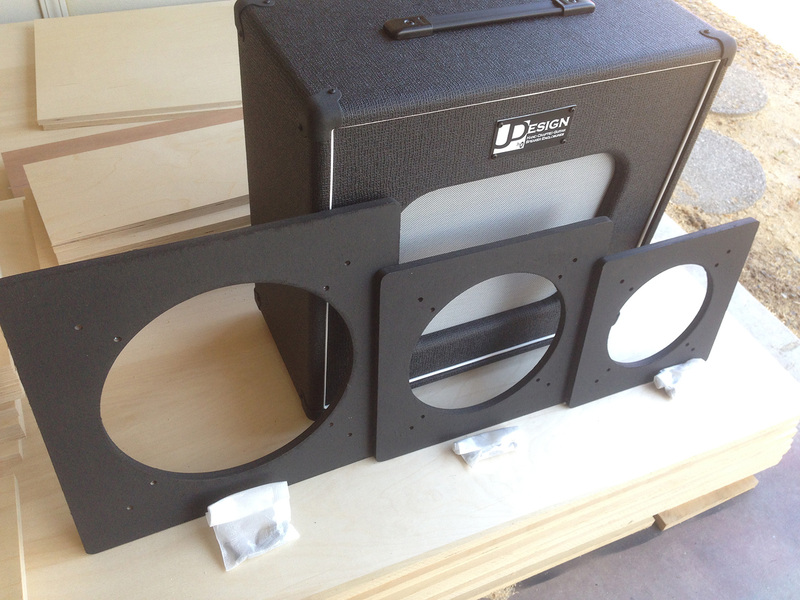 For example, a 12” speaker is swapped with a 10” speaker easily and quickly, mounting to the cabinet’s existing baffle. Kits are available in several sizes, to convert from a 15” speaker to 12”, from 12” to 10”, and 10” to 8”. This unique and innovative concept was designed by J Design founder and owner, Jeff Earl. “I have been building custom, boutique cabinets for years, and have built all of the cabinets for Fargen Amps. I challenged myself to come up with a way to switch between speakers in some of the cabinets that I love, and the result is Add-a-Baffle,” said Earl. Mad Sun Marketing is taking on the 2016 Winter NAMM in Anaheim, Calif., from Jan. 21 – Jan. 24 at the Anaheim Convention Center in Anaheim, Calif., and will have its busiest year yet! The team will be hosting several events through the music and audio industry’s biggest week – the NAMM trade show. In this exclusive event on Jan. 20 from 11 a.m. – 2 p.m. (open only to registered media), Mad Sun Marketing will proudly showcase its client EarthMoments’ new product “Rututu,” with a dynamic artist demonstration. 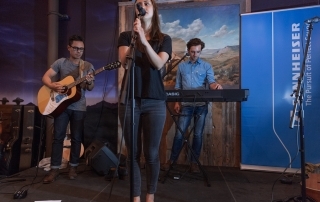 Hundreds of members of the media attend this free, “first look” reception to preview music instruments, products and technologies that will be debuting at the NAMM Show. Throughout the show, Mad Sun Marketing will be representing its client Rututu – a music playground app with a drag and drop interface, allowing users to sample and create their own tracks featuring unique and high quality instrument samples from the Indian Ocean region and beyond. You can check out a video with more on Rututu at http://rututuapp.earthmoments.com/. Throughout the show, Mad Sun Marketing will be representing client its MusicFirst. You’ll be able to view and demo awesome software from MusicFirst like Noteflight, Focus on Sound, Groovy Music, Morton Subotnick’s Music Academy, O-Generator, Soundation4Education, Music Delta, Auralia, Musition, Sight Reading Factory, PracticeFirst, and more. Calabasas, CA, January 18, 2016 – Gear Collector is proud to announce the launch of its new company and website, catering to guitarists who play and collect boutique gear. 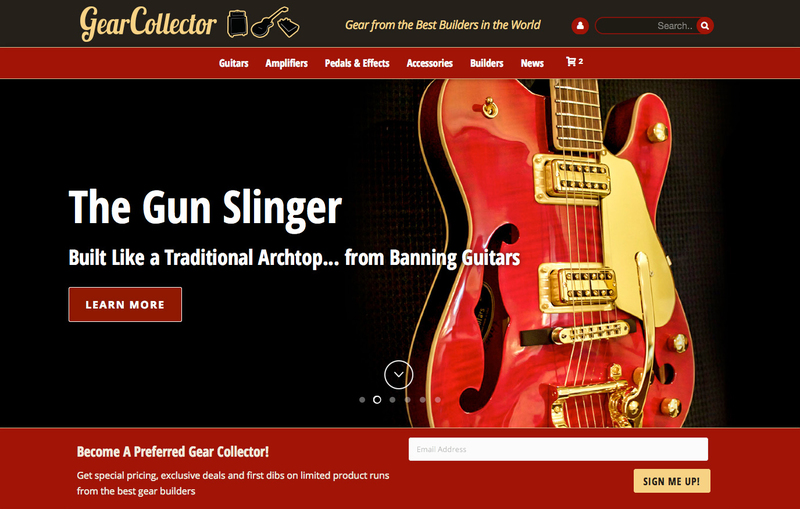 Gear Collector brings together players, builders and professional artists to host a site for conversation, connection and selective instrument and accessory sales. Gear Collector meets the demand of players, collectors and gearheads who are searching for something new, exciting, and in many cases, rare. Gear Collector connects these players with builders who are at the top of their game, and professional musicians who collect and play specialized gear themselves. Offering custom-built and rare product sales, feature interviews with makers, artist and demo videos and much more, Gear Collector will bring in-depth conversation and community to the boutique market. “There are many discerning players that have been living in the boutique market for years, and many others who would like to join in, but perhaps don’t know enough about the builders and products and what makes them so special. We are here to help tell the story, and to connect players with some of the best builders in the space.” Our goal is to bring everyone together and in doing so, help this specialized market to grow,” said Rich Abronson, Co-Founder. In addition to many of the builders’ existing product lines, Gear Collector will feature limited editions, one-of-a-kinds and exclusive product on behalf of these builders. MusicFirst, the New York City-based company offering teachers and students a cloud-based collaborative music education system, steadily extended its lead in cloud-based music education with strong fiscal year 2015 sales. After two years of building its unique combination of music software, learning management system and assessment tools, MusicFirst has now recruited more than 380 U.S. school districts. This has resulted in more than 200,000 individuals already subscribing to its MusicFirst Online Classroom (MFOC). “With more than 11,000 school districts yet to be approached, and 50 million potential subscribers in North America, MusicFirst is poised for exponential growth in 2016,” said Tomas Wise, CEO of Music Sales Inc., the parent company of MusicFirst. Sales have increased a strong 400% over last year with revenue 44% over budget this year. MusicFirst is now the single largest cloud-based learning platform dedicated to music education worldwide. MusicFirst is also expanding its offering. Director Dr. Jim Frankel reports that following the August launch of its online practice and assessment tool for students and teachers called PracticeFirst, the company has signed up a number of the other most important educational publishers, such as Music Sales, Macie Publications, Kjos, Kendor, and more, to supply a rich variety of music content for practice use and assessment. “PracticeFirst has really taken off since we launched it this past summer. We feel very strongly that music educators were looking for a product just like it, and we are thrilled with the initial response. Bringing affordable, accessible and robust software tools and resources to music teachers and their students is exactly what MusicFirst is all about,” said Frankel. 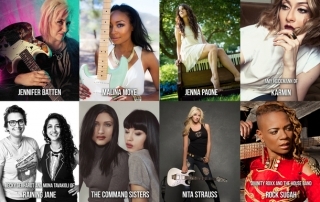 The Women’s International Music Network (WiMN) is excited to announce the musical lineup for the 2016 She Rocks Awards, taking place Fri., Jan. 22, 2016, from 7 – 9 p.m. at the Anaheim Hilton Hotel in Anaheim, Calif., during the 2016 Winter NAMM show. Tickets available at www.sherocksawards.com. Named one of Billboard’s “7 must-see events at NAMM,” the fourth annual She Rocks Awards offer performances and surprises, food and beverages, giveaways, a silent auction, networking opportunities, and more. The event brings together industry professionals, music icons, artists, fans, and media to celebrate women in music. A portion of the proceeds of the event will go to benefit the Girls Rock Camp Alliance and the NAMM Foundation.